In most sports some players or athletes are shining lights, making everyone else around them seem less spectacular. That doesn’t mean those athletes are no good, and it just shows that you need to look at what they do in finer detail to appreciate their talents. We’re looking at the most underrated soccer stars of all time. The Italian midfielder often played in teams where he was surrounded by talent, but his class was evident any time he stepped onto the pitch. 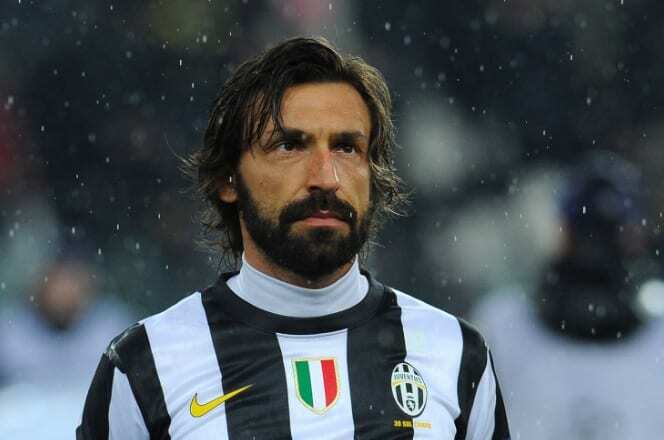 Pirlo wasn’t the fastest, or the strongest, but he was perhaps one of the most cunning. The midfielder played most of his career in Italy, lining up for the likes of Juventus, AC Milan, and Inter Milan. Wherever he played, he won titles, lifting the Champions League with AC Milan and multiple Serie A titles with Juventus. He was the creative force in each of his teams, even helping Italy to an unlikely World Cup win in 2006. There is something about midfielders that means they are underappreciated by most who follow soccer. The strikers and forwards get the goals, so they are the ones grabbing headlines, while defenders and goalkeepers stop goals. It’s obvious what they do on the field, but midfield is like the dark arts. One of the masters of the dark arts was Xabi Alonso, who could place the ball just about anywhere on the field. His range of passing was perhaps the best we’ve ever seen, but he was never the superstar in any of the teams he played for. With Liverpool and Real Madrid he won the Champions League, while at Bayern Munich he won the Bundesliga three times. He was outshone by the likes of Steven Gerrard, Cristiano Ronaldo, and Robert Lewandowski, but without Alonso, those players might never have been champions. For many soccer purists, there is no better player than Paul Scholes, but like the rest of these underrated stars, he didn’t always get the recognition. Scholes scored over 100 goals in the Premier League, many of which were unbelievable volleys, but never got the headlines. He won the league 11 times and was an essential part of the Manchester United dynasty created by Alex Ferguson. Perhaps the biggest sign of appreciation Scholes got was from his former manager who always found a way to get Scholes in his team. Ferguson even managed to convince Scholes to come out of retirement to play one last season for him. There is no better praise than having the best manager of all time begging you to come out of retirement. Scholes might not have been in contention for the Ballon d’Or, but he should have been. It’s always going to be hard to stand out on the soccer field when you play alongside Lionel Messi, Xavi, Ronaldinho, Suarez, and Iniesta. Because the Barcelona roster is stacked full of world-class talents Sergio Busquets is often overlooked as one of the team’s best players. He has actually emerged as one of the best midfielders ever to play the game, especially since Xavi and Iniesta left the Spanish club. Busquets has won everything in soccer, including the Champions League, World Cup, La Liga, European Championships, and Club World Cup. You don’t get to play in one of the best teams in the world if you aren’t exceptional and Busquets is that. He quietly controls everything that Barcelona and Spain do on the field, and if he ever has a bad game, which is rare, his teams suffer. Strikers are worth their weight in gold in soccer, and if a player is scoring lots of goals, he’ll often get signed by a big team. 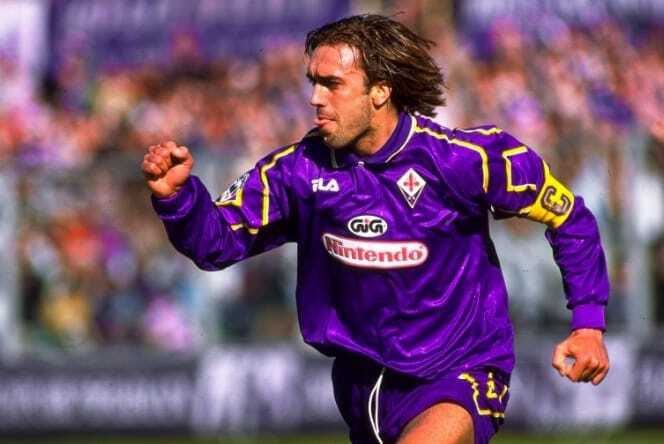 Gabriel Batistuta is one of the best strikers the world has ever seen, but because he didn’t play for big teams throughout his entire career, he is underrated. The Argentinian striker played most of his career in Serie A during the ‘90s with Fiorentina. While Italian soccer was at its peak during that era, Fiorentina was not the best team. Despite their underdog status, Batistuta kept on scoring goals for them. In total he scored 207 goals for Fiorentina, before transferring to AS Roma, where he finally lifted the Serie A title. Batistuta was lethal, and if given a tiny chance of scoring he’d find a way to make the net bulge. He is underappreciated because there were so many other amazing strikers during his playing era, including Ronaldo Nazario, Roberto Baggio, Alan Shearer, and Raul. His numbers were just as good as those players, but they all outshone him in the eyes of fans. For over a decade midfielder Luka Modric was overlooked as one of the best players in the world despite the fact he ran the show for any of his teams. Since joining Real Madrid Modric slowly became recognized for his talents and won the Ballon d’Or in 2018. He won that award not only for himself but all of the underrated soccer stars over the years. These players all flew under the radar while they were playing, despite being some of the best ever to play soccer. While they might not all have gotten the acclaim they deserved, we’re giving them the recognition they so rightly deserved for their skills with the ball.